The world of personal computing has turned to tablets. It’s easy to see the reason why; they are powerful, portable, and ready to compute as fast as you can push the button to turn it on. When the first highly usable tablet was introduced (i.e. the iPad), there has been wide skepticism about its usefulness and capability. Now, the tablets are being adopted by schools as a replacement for books and paper assignments. In the old wold of books and paper, it has been a common practice to use a pen or a pencil to mark paper in a quest of making a mark on the world. The introduction of higher level of technology, surprisingly, has devolved us to using fingers to smear the screen with sweat and pixels. Even though a civilized hand held device exists, known as a stylus, most of us opt for using the finger. It’s simply easier to use one of our appendages rather than finding a small-single-function tool in the crevices of a purse, pocket, or some other obscure opening. The mystery behind disappearance of small objects such as USB flash drives, Styli, microfilm, and other less interesting items may never be known; however making a device more useful is another matter. Maybe if you use it more often, you’ll remember where you last left it. Behold. 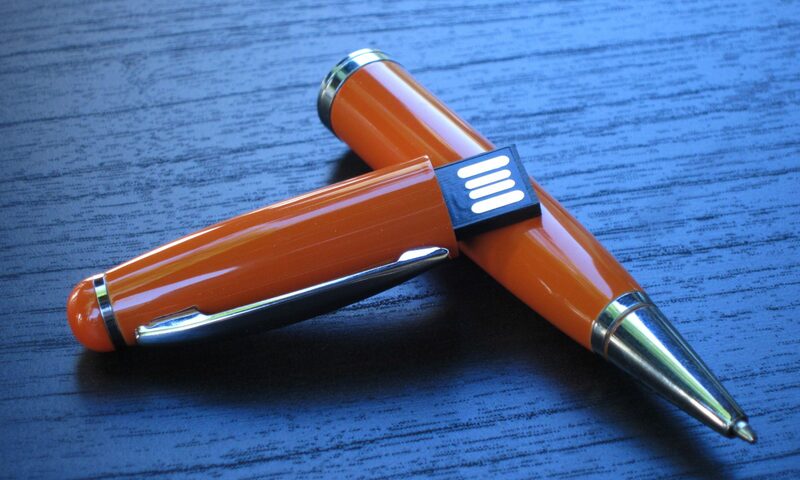 The USB flash drive and a Stylus in one! Stylus with Flash Drive build in. It’s 2.75 inches in length. The Stylus is very compact at only 2.75 inches in length. 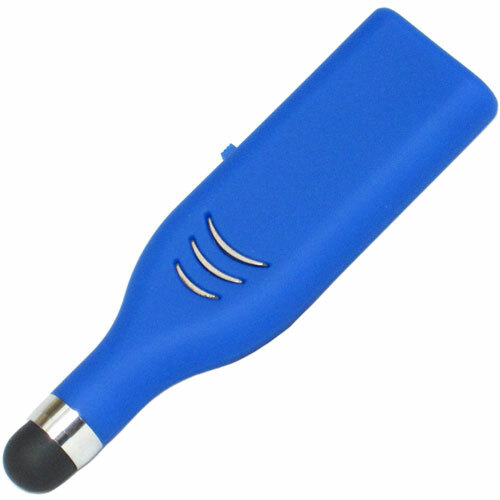 The soft rubberized point is at about 0.25 inches in width. 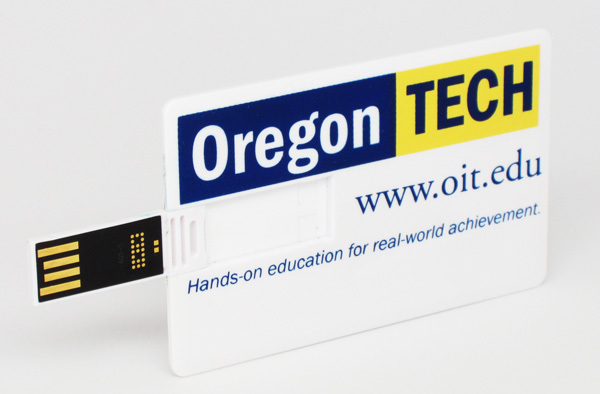 It’s easy to slide the USB flash drive connector out for a fast connection to the Surface tablet or any other USB compatible device. This particular stylus is designed to be used on capacitive screens found in iPads, Surface tablets, Smartphones, and other gadgets with modern screens. While it may work with resistive (older screen technology) screens, it would not be recommended due to the soft rubberized tip. The previous photo shows an all plastic case. 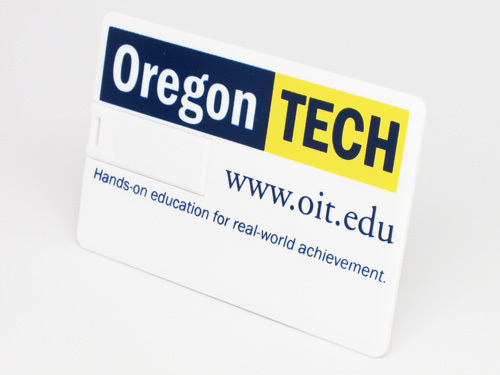 The large plastic surface area allows for durable silk-screen printing of logos and text. However, If you are not familiar with the capacitive technology, all plastic case presents a problem. In order for the Stylus to work without any batteries, a conductor, such as your finger, must be utilized so that the screen recognizes it as input. The problem is easily solved with stylish conductive ridges on the back side of the Stylus. When your finger is placed over the ridges on the Stylus, it’s enabled to work on your touch screen device. It’s light, ergonomic, and precise due to the 0.25 inch tip. Also, the area above the ridges can be silk-screened with your logo or text in addition to the larger area on the front of the Stylus. I typically prefer and tend to recommend multifunction USB flash drives. 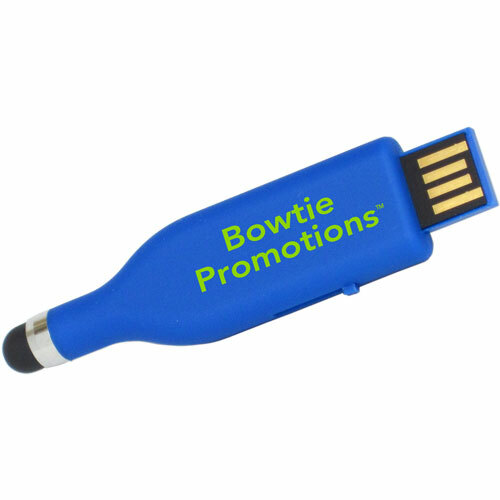 Such items as USB Lanyards, Wristbands, Pens, and other multifunction drives are a much better value from the promotional as well as practical point of view. The more functionality the device has, the more chance it has to be used, and therefore seen with your brand or company logo. The Stylus is a perfect blend of modern functionality. It’s a writing tool for modern tablets, and compact storage for up to 16GB worth of data. It’s beautifully designed and has plenty of space for branding on the front as well as the back. Make the Stylus yours by choosing your color, capacity, and packaging options (if needed). We’ll take care of silk-screening your brand name or company logo on the Stylus as well as pre-loading the USB flash drive for you. Slap me! These USB Wristbands are Impressive! It’s only natural to call these new USB Wristbands – Slap and Snap! Even though it sounds cheesy, and possibly risque, these wristbands borrow on the invention of the slap wristbands all the way from the 80s and the 90s. These bands are practical, functional, hold a ton of data (yes a ton – that’s the technical term for data capacity), and are incredibly easy to put on. Unlike the slap wristbands of the 80’s, it does not come in the leopard print. 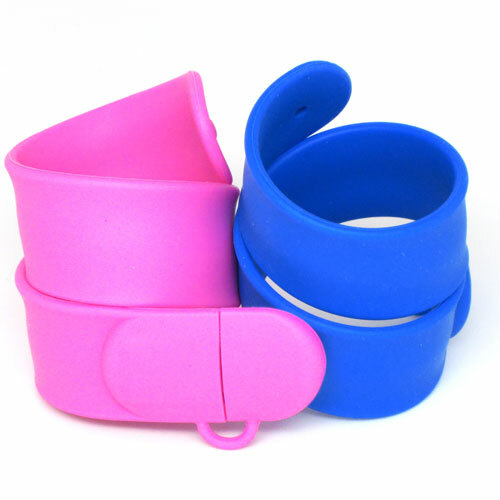 These are soft and durable silicone rubber, and they have USB flash storage for up to 16GBs. You could only dream of owning one of these in the 90’s. These 2 Slap Wristbands have been formed to resemble springs. Naturally, they form a tight 2D spiral once released. Notice the buckle that hides the USB drive. 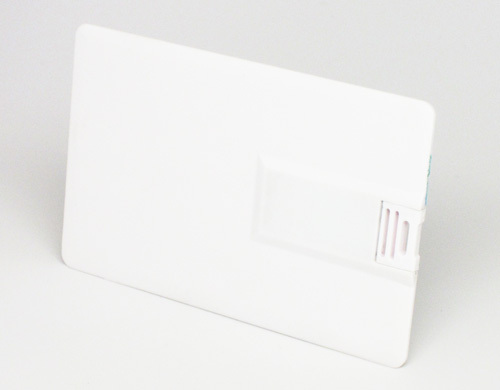 The small cap protects the USB connector. How do they work, again? The idea behind the slap wristbands is quite simple. A thin piece of curved metal strip is the core of the wristband. When the wristband is in its open state, it is similar to holding shape as does the metal tape measure. However, unlike the tape measure, when the metal piece snaps, the wristband starts to curl (i.e. form into a spiral). So if you decide to slap the wristband on your wrist or ankle, it will snap and then curl around to contour your shape. Your common USB wristband needs to be manually closed by pressing the USB connector against the female connector on the other side. Dexterity is required to some degree. Even with the leather wristband that has a magnetic closure to help with connecting the ends; it is still not incredibly easy. With the slap USB wristband, it’s as easy as Slap and Snap! (Sounds like infomercial talk, ouch!) Infomercial or not; the ease of use of this wristband is truly simple. We’ve wrote about usability and adaptation of the promotional products in previous posts; the simplicity of putting this wristband on and its large imprint area makes this a superior promotional/personalized product. Occasionally, we are asked for different sizes of the USB Wristbands. While it is possible to make them in any size, most kids or youth sizes have to be custom made. With the slap wristband, there is obviously no need to worry about the sizing issue. The wristband will contour to any size wrist or ankle. It’s easy to see that I’m impressed with these wristbands. Interestingly, I’ve been waiting for sometime before the slap wristbands became available with the USB flash drive. It’s only a natural extension for already a great product. The wristband material is soft silicone and is comfortable on the wrist; it fits any size with ease, there is a great surface area for logos and/or text, and it’s a flash drive! 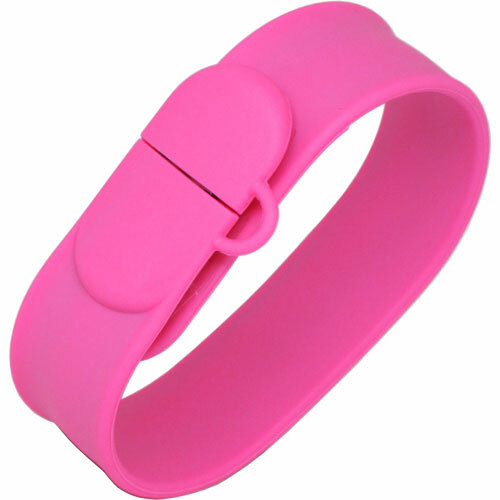 The Slap USB Wristband is a fantastic product; I recommend it – 5/5 stars.